A long (really long) winter causes me to want to pull the thick comforter over my head until it’s all over. This winter was so long, I tried to resist that temptation and kept plugging away at a few of my long term goals. I finished revisions on my first novel, and I ran as often as I could. Now Spring has sprung. How do I know? 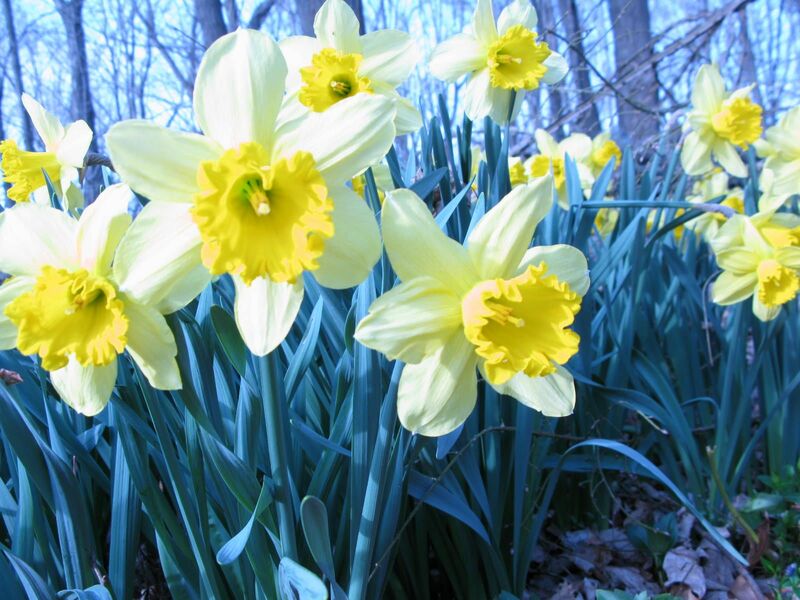 The daffodils are in full bloom, the magnolias are ready to burst, and the sun is out more often. I am very eager to get back outside and work in my yard. I want to smell mulch, and grass clippings, and lilacs. I want to watch my kids swing, and rollerskate, and draw with chalk on the driveway. It also means that the fruit of my winter’s labors are at hand. I need to make final changes to my synopsis, and then I will begin sending it out to agents. I ran my first 5K race for the season two weeks ago, taking two minutes off my personal best race time. I’m still striving for a sub-30 minute race time this year, so we’ll see if another few weeks of training can get me there in my next race on Mother’s Day. It’s hard to take the long view of things. I know I want to feel progress, feel accomplishment, and check something off my list. It takes a lot of faith and perseverance. Sometimes I’m up for the task, and sometimes I’m not. The best way I have found to keep my eye on my goals and put in the necessary hard work is to break it down into pieces. Biting off a piece at a time feels more manageable. So the biggest step is just to start – to jump in and begin the process. I’ve always wanted to grow strawberries and blueberries in my garden. I resisted planting them, since most varieties must be in the ground for a year before they will yield significant fruit. Last year I finally planted them. So after a year of waiting, covering them over a long winter, and giving them much TLC, I peeked under the straw this week to see this year’s strawberry plants already growing and spreading vigorously across the planting bed. I can almost taste the fat ripe strawberries. The hard work will pay off. I keep telling myself that. So if you hear me muttering to myself, don’t worry. I’m just talking myself into another revision cycle. A few weeks ago, Katie shared why she doesn’t reread books. Basically, there aren’t enough hours in the day–she’d rather expose herself to something new. That’s a completely valid point. In fact, it reminds me of a different friend’s opinion that movies should only be watched once. (Gasp!) I have a slightly different take. It’s not a rebuttal, exactly. My day is, unfortunately, just as hour-deficient as Katie’s, and there are many books I enjoyed reading but would never reread. Still, I can think of at least two reasons to return to page one. Lately, the primary reason I have reread books–wonderful stories such as Graceling, The Fault in Our Stars and One Crazy Summer–is because I’m studying craft techniques as part of my MFA. In the past few months, I’ve read each of those books at least three times. It’s only by reading so closely that I was able to dig deep enough to see how subtle writing can be. The second reason to reread is to reconnect with an emotional journey. Sometimes I reread to snicker (Ella Enchanted), or to have a good, solid cry (aforementioned The Fault in Our Stars). I’m also a sucker for reliving the moments of hesitation and resistance and surrender that first love brings; at 38, I’m never going to fall in love for the first time again. Mostly, I love coming of age stories–I feel as if I’m constantly coming of age. And maybe I can learn from watching someone else struggle through her own journey, even a fictional one. Both of these reasons could be boiled down to this: Rereading means learning. Every time I reread, something different in the text pops out at me. Maybe it’s a character trait I hadn’t noticed, or the way an author sets up a series of tiered epiphanies. Whatever it is, rereading has strongly influenced how I’ve evolved both as a reader and as a writer, and arguable as a person. Next question: Do you keep books or pass them on? How We Discovered This Book: My son received this as his monthly Imagination Library book a few years ago. It is a favorite in our house, and is on frequent rotation. 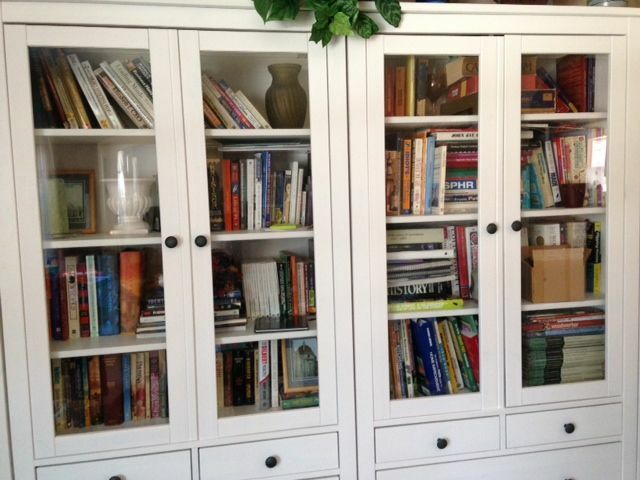 For more information on the Imagination Library, you can read my previous post. Summary: A baby shares his very funny and astute observations of the world. What I Liked: The voice in this book is very strong, and hilarious. Right on the first page, the baby talks about being born and says,”If I’d known I was going to be born in public, I’d at least have put on a tank top.” You might think that nothing really happens in a baby’s life, but this story manages to have a main arc and sub plots while still remaining simple. This author has chosen his words immensely well. What Did My Kids Think? This books cracks us up every time. My son thinks the baby’s observations and the book’s illustrations are so funny. And who wouldn’t laugh at a dog named Foofy? Journaling: Children of all ages can be encouraged to journal. Both of my children have journals, which we take with us on all of our adventures. My daughter just scribbles at her age, but I like the idea that Aidan is modeling how to put thoughts and ideas on paper. Writing activities: Scholastic has some good suggestions for using this and other diary books to inspire children to write. Journalism: Talk about what a journalist is, and what they do. 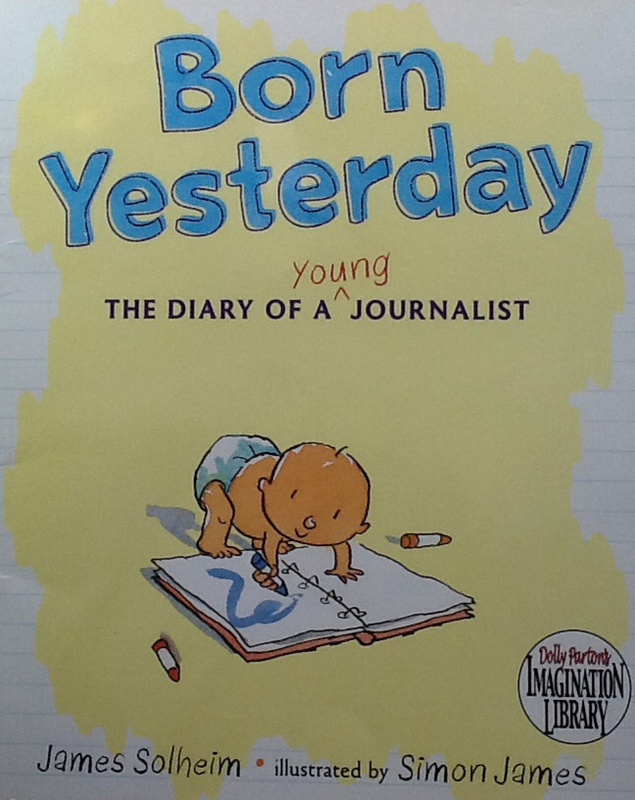 Help the child brainstorm about what they would report on if they were a journalist. Have them pick a topic, research it, and then write the story. This can also be a springboard to a multimedia project where they can be a TV journalist, planning and filming their report. Why Read a Book More Than Once? Joanna and I were discussing our favorite books recently, and Joanna mentioned a few books she liked so much she has read them multiple times. I don’t think I’ve ever read a book more than once. Why is that? The short answer is: I don’t have time. The longer answer is that I have many books I absolutely love. I keep a small collection of my favorites on the bookcase in my living room. I would like to read them again, but many of my favorites – Harry Potter, Lord of the Rings, etc.- are over 900 pages long. So the chances of me finding time to read that many pages on a short period of time is slim. I might set aside the needed time, but my list of “want to read” is very long. So I choose to discover a new story instead. I may like the new book, or I may not. It might get donated, or I might find room for it with my other favorites. Perhaps I will think of my bookcase as a collection of stories for a future day when my obligations are less and my free time is greater. Do you read books multiple times? If so, what books are they? Please share in the comments.